What makes sewing garments special is the small and unique details. From a perfect stitched buttonhole to applied topstitching like an expert. 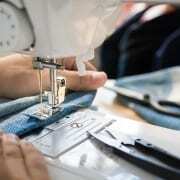 In this article, you will find some great ideas to make the most of your garments-sewing. 1- Use your Sewing Machine to Stitch the Buttonholes Precisely. Step 1: Measure your button. Add 1/4″ and set the arrow on the Buttonhole foot with the slide to that length. Step 2: before placing the bobbin, put the bobbin thread through the little hole in the finger of the bobbin casing. Then load it in the machine as usual. This will tighten the tension of the bobbin thread and give the top thread a more rounded appearance on the right side of the fabric. Step 3: Thread the top of the machine and attach the Buttonhole foot. It’s a good idea to test out the buttonhole size before stitching your garment. So grab a scrap of fabric and position it under the presser foot with the top of the buttonhole positioned under the needle. Step 4: Set your machine to the buttonhole stitch. Stop stitching and press the reverse button once to let the machine know you’ve reached the desired length. When the buttonhole is done, the needle rises and centers itself above the end of the buttonhole. Step 5: Carefully cut open the buttonhole and test your button. If it fits nicely, then you’re ready to start stitching the rest of the buttonholes on your garment. Step 1: Before installing the exposed zipper, we’re going to sew a stay to the zipper opening. Cut a stay using a firmly woven fabric that is 3 ¼” (8 cm) wide and 2 ½” (6 cm) longer than zipper opening. Step 2: Using a pen or pencil, mark zipper opening on the garment and stay that is equal to the half the zipper tape width plus 5/8″ (1.5 cm), which accounts for seam allowance at the top. If your seam allowance is different (i.e., ¼″ or ½″), mark accordingly. Step 3: match rectangular marking on the garment and stay and machine baste together. Step 4: Cut down the center to about ½″ above end, then cut diagonally into corners. Be careful not to cut through stitching! Step 5: Turn stay to inside and press, making sure that stay rolls to the inside just slightly. Step 6: Center zipper underneath opening with the bottom of zipper stop flush against the bottom end of the opening. Slip stitch in place. Step 7: Raise the bottom part of the garment to expose the end of the zipper tape and the triangle of the fabric that is underneath. Step 8: After, fold back one side of the garment and starting from the bottom, stitch the garment to the zipper tape along basting line. Repeat on the other side. To finish, remove basting and press lightly on the right side. There are some tips that can up your embellishment game. With proper planning and some clever, professional secrets, anyone can have gorgeous topstitching every time. Follow these tips to organize your topstitching. Tip 6: Fabric Glue is Your Best Friend. Creating beautiful seams can be a challenge if your sewing machine is not set up correctly. Follow these simple steps to set it up. Tip 1: Test sew. Look at the seam and make all the adjustments needed in the upper thread tension, the stitch width, or stitch length. Tip 2: Use the right stitch plate for the job. This excellent accessory supports the fabric around the needle and helps create a perfect straight stitch. Use a zigzag stitch plate for zigzag or decorative stitching, and the straight stitch plate for precise straight stitching. Tip 3: Consider Presser Foot Pressure. This very important sewing machine feature controls how much pressure is pushing down on the fabric under the presser foot. Tip 4: Consider a sewing machine with a built-in Dual Feed. This feature assists in moving the top and bottom fabrics evenly, with no slipping. Tip 5: Never push or pull the fabric as you sew, just use “Finger Tip Sewing.” Do not rest your hands on top of the fabric, as you may apply too much pressure and change the stitching speed; the feed dogs will pull the fabric at the correct speed for the chosen stitch length and width. The best way to sew is to simply hold the fabric lightly with your fingertips while guiding it to the left and right. This will eliminate stretched out or stacked stitches. Tip 6: Always start and stop sewing in the fabric, not in the air. Begin sewing 1/8″ to 1/4″ from the raw edge, press the reverse to sew back to the edge of the fabric, then release it and sew forward again. At the end of the seam, stop in the fabric to backstitch or lock the stitch. You can use piping to add subtle detail to your project, or you can take the project up a notch by adding piping in an opposite color to cause a greater effect. Step 1: Cut out your pockets and finish your edges with pinking shears, zig-zag stitching or you can use a serger as I did. Step 2: Turn under the edges that will not be sewn into a seam about a 1/4 inch. Step 3: Prepare the garment area where you will be adding your pockets. Step 4: Cut your piping to fit your pockets. Step 5: Pin your piping to your turned under edges. For one pocket I added two rows of piping adding another dimension to my pocket. Step 6: Using your zipper foot secure the piping to the turned under edges by stitching as close the edge towards the piping as possible. Step 7: Add the pockets to your garment by pinning them in place. Step 8: Stitch the pockets to the garment and finish constructing your garment. 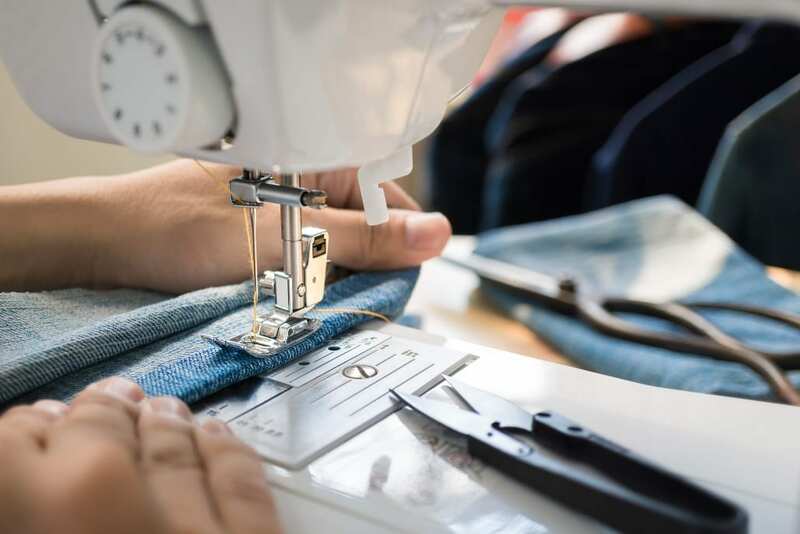 Take advantage of these fantastic tips to make the most of your sewing, give them a try, and you will see how your garments look more professional and beautiful. You can also come up with many more fantastic ideas to sew. Don’t limit your imagination, be creative and enjoy what you are doing! If you find these ideas useful for you and you would like to learn more about them or any other tip, please contact us. We will be glad to help you become a pro.